While Lucas Dumbrell Motorsport was scheduled to run Scott Pye's repaired car on Monday at a Winton test day, a lack of available parts kept the #80 Holden Commodore sidelined. However, LDM has been granted permission to run the car at Holden’s proving ground in Lang Lang, Victoria, on Friday to iron out any issues prior to the next event in Perth. On such short notice test track Winton Raceway wasn’t available, so Holden offered the team the use of the proving ground – for which V8 Supercars granted special exemption to the otherwise strict testing rules. 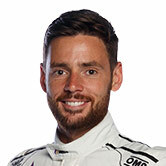 Team Manager Lucas Dumbrell said the Monday test (as scheduled) would have been perfect – had the team been ready in time. Instead, throw ANZAC Day in the mix this week and it has been a race against the clock to get the car on a track before it needs to leave in the truck this weekend for Western Australia. 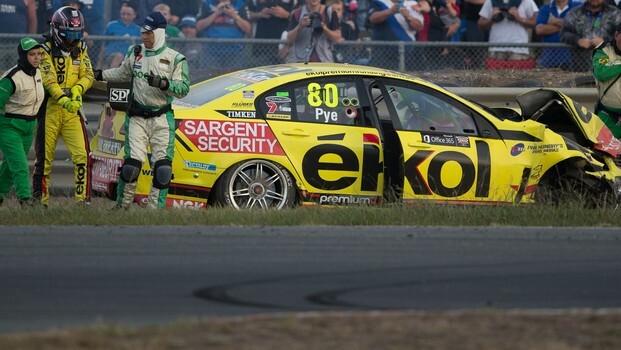 “We just ran out of time – there weren’t enough parts, not enough spares,” Dumbrell said. “Even though it’s been a couple of weeks since the crash, everyone’s been away racing and there was not a lot of manufacturing of parts done. Friday will just be a quick run for the team. Dumbrell continued, “It’s really just a systems check, not much running at all – just straight up and down to make sure nothing’s loose and ensure everything has been put together properly. “It would have been great to have gotten Scott to do some competitive testing at a proper circuit – at Winton – but it’s about getting him in the car to make sure the seat, the belts, everything is how he wants it. Given the hectic scheduling at the start of the season, with the back to back running of the Tasmania and New Zealand events, the workload of the LDM crew has been high – and the accident has added to that. But Dumbrell said there hadn’t been any complaints about the hours the team is putting in to get the car ready for the Chill Perth 360, beginning on May 3. “(The crash) just added further to the lack of time off and to the amount of hours of working each day to go racing,” he said. “The team hasn’t had a lot of time off in the last four to five months and this has added to their workload – it just doesn’t seem to get any smaller. "There’s been no complaints about working the long hours to get the car ready. They understand what it’s about. Everyone works pretty hard and everyone wants to get the car back together – they’re continuing as we speak. “It’s been a good effort and the hours the guys have done are reasonable. According to Dumbrell, there’s no reason the car shouldn’t perform well at the next event – the fundamental damage has been repaired, so it’s down to the engineer and driver over the weekend. “The car has been repaired back to as it was,” he explained. “It was back on the jig, so all the bars and everything are meant to be 100 percent. Results-wise, Dumbrell felt it had been a reasonable start to the year, though the accident had been a frustrating step back.